Join the School of Noise as they help you create unique and experimental pieces of music together with live visual projections. 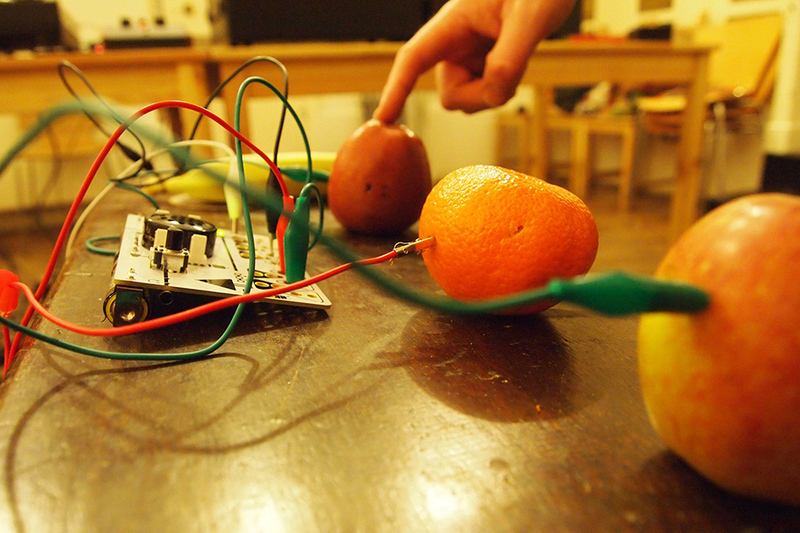 They will introduce you to a range of noise making and sound sculpting devices including a theremin, omnichord, analogue synthesisers and drum machines, and even fruits and vegetables that play music! The sounds will be accompanied by various visual elements including an overhead projector with inks and cymatic Chladni patterns, to create an immersive audiovisual experience for those taking part. There’s no need to have any previous experience to take part in the workshop.